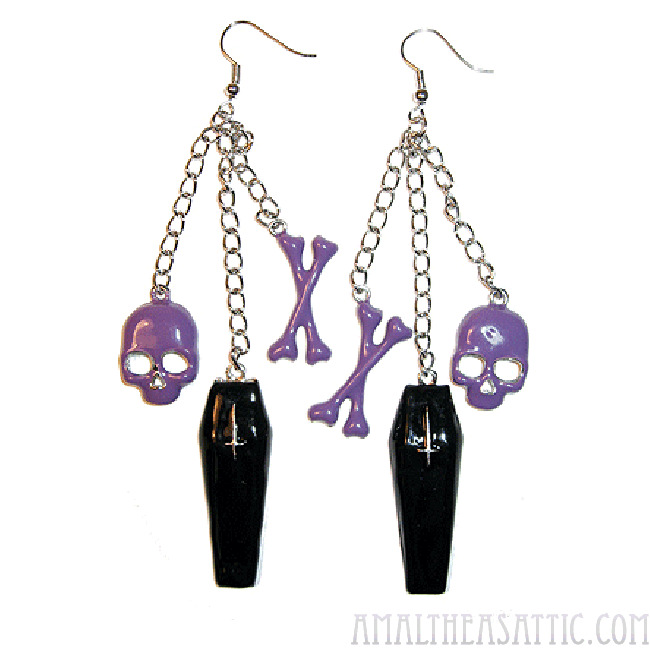 3 charm dangle earrings with a purple skull, purple bones and a black coffin. 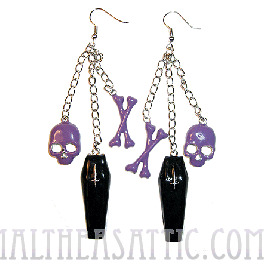 3 charm dangle earrings with a purple skull, purple bones and a black coffin. 3 1/2" long.